Shirley is an internationally recognised painter, sculpture and ceramic artist. Her expressive use of colour and light on rough and smooth surfaces are portrayed in her paintings and sculptures. 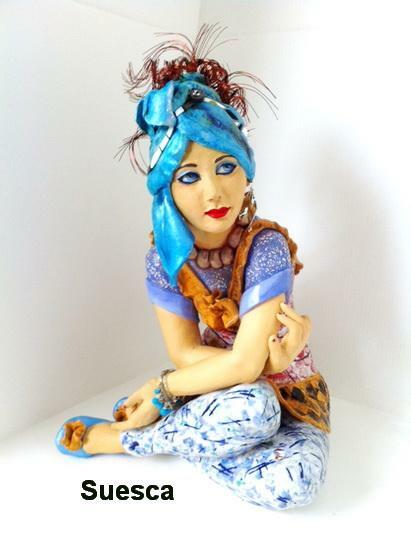 Her paintings grace the walls of the Prince’s Palace in Dubai and Australia wide.Her first love is ceramic art, hand built original copper haired ladies which have found homes internationally namely Dubai, Singapore, South Africa, USA, Greece, New Zealand and Australia. Shirley has traveled extensively having lived in East and Southern Africa for most of her life and has now made Australia her home, residing on the Sunshine Coast, Queensland. She has done private tutoring in the arts to various individuals as well as to disadvantaged people enhancing encouragement and hope. She also financially supports children in Ethiopia, Senegal and India and various Christian Institutions. She says:- Sculpture and paintings is a reflection of life and hope, which is why composers agonise over a score and artists over a canvas believing some glimmer of beauty will emerge from the struggle.